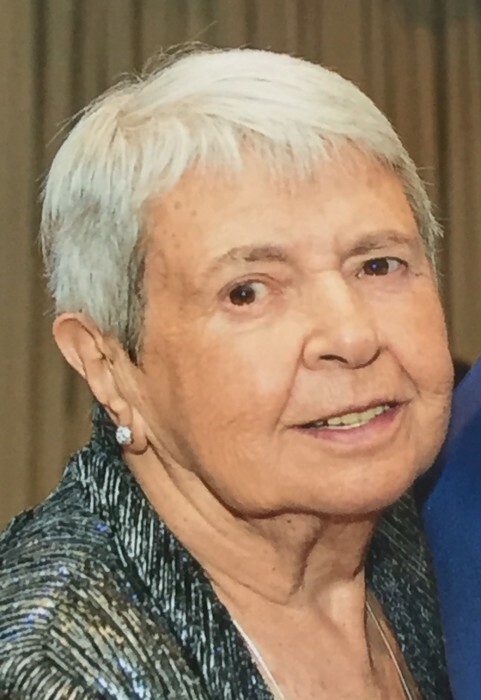 LOWELL – Shirley Austin, age 86, of Lowell, passed away at her home on April 14, 2019, with her family by her side. She was a long time resident of both Tewksbury and Bedford. Born in Boston on January 7, 1933, she was a daughter of the late William and Theresa (Keefe) Austin. She was predeceased by her 8 siblings; Evelyn Flaherty and husband John; Virginia Austin; Mildred McNeil and husband James; Bernadette Kennedy and husband Harold; Theresa E. Austin; Arthur Austin and wife Marguerite; William Austin and wife Joan; and Donald Austin. She grew up in Dorchester and Charlestown, graduating from Charlestown High School in 1950. Prior to her retirement, she was an administrative assistant for the United States Air Force through Dynamics Research Corporation. Shirley was passionate about traveling and loved her crosswords. She loved being a Mema to her grandchildren and great grandchildren. She also treasured a good cup of coffee at a friend’s kitchen table. She is survived by a son John G. Jaillet and his wife Jacqueline of Greenfield, NH; a daughter Jodi Jaillet and her husband Theodore O. Windt III of Lowell; grandchildren Michael Jaillet, John P. Jaillet, Kristina Kortisses; step grandchildren, Stephen Godfroy, Kheredine Tamedi; great grandchildren, Jacob, Mariah, Jack and Logan; step great grandchild Caleb Kortisses; sister in law Patricia Austin; many nieces, nephews and devoted friends; not to mention fur-grandbabies Zoe, Penny, and Oscar. Shirley’s philanthropic gestures included Habitat for Humanity, Operation Smile, Doctors without Borders, Salvation Army, Goodwill, and St Jude Children’s Research Hospital. Relatives and friends will be received at the TYNGSBOROUGH FUNERAL HOME, 4 Cassaway Dr., Tyngsborough on SATURDAY afternoon from 2 to 6 p.m. Funeral MONDAY morning with a Funeral Mass to be celebrated at 11 a.m. in St. Mary Magdalen Church, 95 Lakeview Ave., Tyngsborough, MA. In lieu of flowers donations may be made to St. Jude Children’s Hospital, 501 St. Jude Place, Memphis, TN 38105. For online condolences or directions, please visit www.tyngsboroughfhuneralhome.com.